Jamie Smith, Jeff Gurner (Narrator), "Gray Work: Confessions of an American Paramilitary Spy"
The first ever, first-person tale of America’s personal, paramilitary contractors at paintings around the globe – from a person who carried out those missions himself and has a long time of news to inform. This is an engaging story – and doubtlessly the primary – to explain the paintings of American contractors, males who run extremely bad missions deep inside of overseas international locations getting ready to conflict. It will carry the veil and element without equal threat and chance of paramilitary operations (each formally government-sanctioned and no longer) and display us in very intimate phrases precisely what personal squaddies do when the federal government can not act or take public accountability. 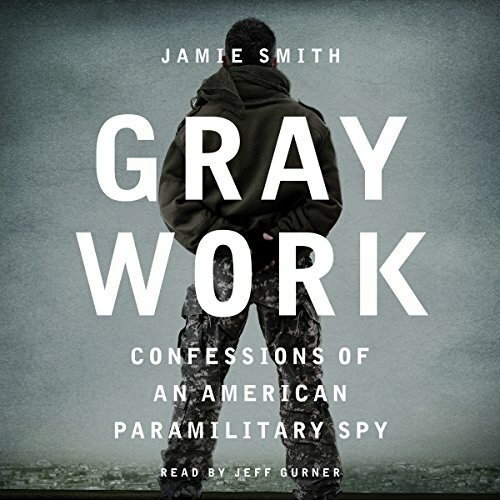 Gray Work combines covert army intelligence with boots-on-the-ground realism, following Jamie Smith thru his CIA coaching and paintings as a secret agent within the State Department, to his co-founding of Blackwater following 9/11, to his determination to go away that corporate. As the founder and director of Blackwater Security, Smith’s preliminary imaginative and prescient has undeniably formed and remodeled a decade of conflict. He argues that this grey house – and its warriors who occupy the arguable area between private and non-private – has grow to be an indispensable part of the fashionable battlefield.